Integrated Medical Partners (IMP) has a team of healthcare business experts who leverage analytics into actionable solutions that drive improved clinical and business performance. 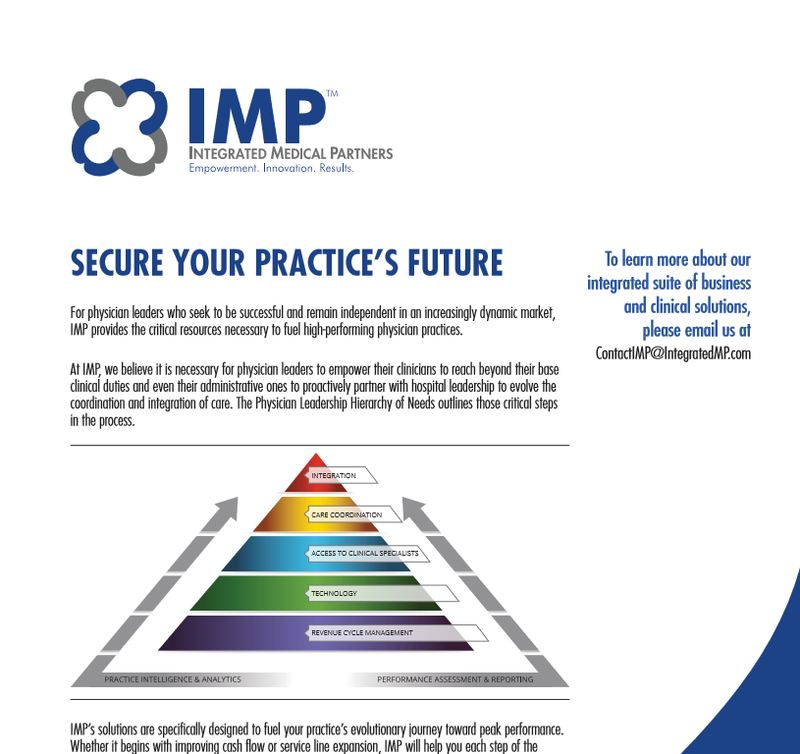 We bring decades of industry experience to develop a sustainable management strategy which optimizes practice profitability and cultivates physician leadership. We guide you with intelligence-based decisions and strategy.